“What’s up, San Francisco? 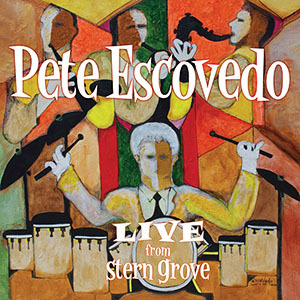 Are you ready to have a good time?” asks timbales player and band leader Pete Escovedo at the beginning of Live From Stern Grove Festival, his terrific new album that captures a live show he played earlier this year at the legendary 75-year-old San Francisco cultural venue and institution. 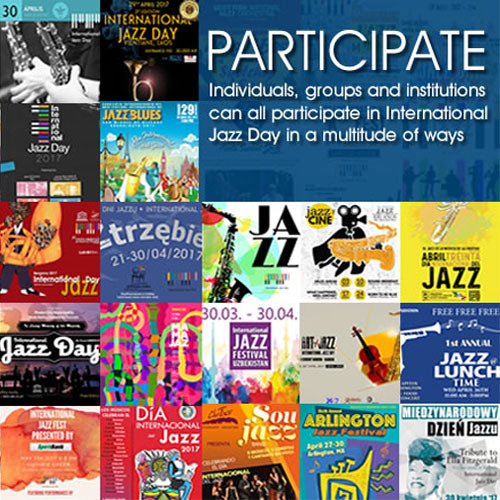 The ensemble brings that same energy to the following track, Wayne Wallace’s “Take Some Time,” a song that allows guitarist Michael Angel Alvarado to exchange spirited riffs with the talented players in the large horn section. It makes sense Escovedo would recruit a phenomenal player like the Bay Area’s Alvarado to play in his band. Early in his career, Escovedo toured with guitarist Carlos Santana for three years before starting the Latin band Azteca, a group that successfully established Escovedo as a major Latin jazz artist. Throughout the ’70s, Escovedo collaborated with many of jazz’s best players, including Herbie Hancock, Bobby McFerrin, Cal Tjader, Stephen Stills, Anita Baker, George Duke, Dion Warwick, Barry White and Chick Corea. Given Escovedo’s 50-year history of playing jazz, it’s fitting that several of jazz’s best players contribute to Live From Stern Grove Festival. Ray Obiedo dials in some terrific guitar work on Escovedo’s rendition of his “Brasileiro,” a contemporary jazz number that benefits from Obiedo’s spirited soloing. Guitarist Michael Angel’s intense playing on the first half of “True or False” practically pays homage to Santana before giving way to a fantastic saxophone solo that comes courtesy of special guest Dave Koz. “Dance” is an original salsa number that Escovedo penned with the help of sons Juan and Peter Michael, as well as daughter Sheila E. The song’s lyrics about losing control and feeling the rhythm “deep in your soul” refer to the tune’s almost-frantic tempo. Guest Sheila E. plays congas on the song, adding to the complex percussion rhythms designed to keep the dance floor moving. The final lyric, “it’s going to make you dance,” is one heck of an understatement. Sheila E. returns to play congas on “Solo Tu”; you can hear Escovedo introduce her to the audience at the beginning of the percussion-driven song. Escovedo then takes over lead vocals in “Fly Me to the Moon,” a fan favorite he spices up with some Latin flair. Trumpet player Arturo Sandoval shows up on the album’s closing number “Sueños De Los Toreros,” and you can actually hear the audience enthusiastically applaud at the end of his solo and again as Escovedo politely says “thank you all; good night” at the end of this incredible performance.